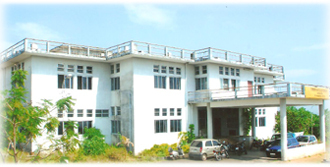 The College of Engineering, Vadakara is the first College established by the Co-operative Academy of Professional Education, which started functioning in the year June 1999. The College is located at Kakkoramala, Kurunthodi, Maniyur Panchayath, around 12 km towards the eastern side of Vadakara through Vadakara-Panikkotty-Palayad Nada Road. 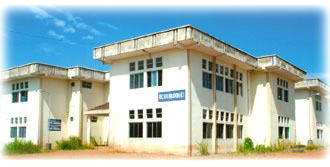 (The campus is 10 km away from Vadakara through Vadakara – Bank Road – Mudappilavil Road). The site at Kakkoramala surrounded by lush greenery is bounded by green fields and silvery clouds. The College is located at Vadakara, a region lying in the northern part of Kozhikode district. It is located on a 26-acre campus at Kakkoramala in Kurunthodi, in the Maniyoor panchayat of Vadakara. You can reach Vadakara through buses heading for Vadakara, Thalassery, Kannur or Kasargod from Kozhikode and from Kannur buses heading for Vadakara, Koyilandy, Kozhikode or Thrissur. The old bus stand is only a 10 minutes walk away from the new bus stand. All buses to Maniyoor start from this stand and all of them halt at the new bus stand in their way. The KSRTC stand is within the new bus stand complex. Vadakara railway station is the nearest railway station. The nearest airport is the Kozhikode airport at Karippur in Malappuram. The College is affiliated to Cochin University of Science and Technology (CUSAT). The admissions of the College are as per the list forwarded by the Controller of Entrance Examinations, Kerala and functioning of the college is as per the rules and regulations formulated by the Government of Kerala and CAPE. The Courses offered are B.Tech in Civil Engineering, Computer Science & Engineering, Electronics & Communication Engineering, Electronics & Instrumentation, Electrical & Electronics Engineering, Information Technology and Master of Computer Applications(MCA). The courses are affiliated to Cochin University of Science and Technology(CUSAT). The duration of B.Tech course is four academic years as prescribed in the curriculum. The first two semesters will be combined together as first year, and the remaining three years consists of six semesters. Examinations will be conducted at the end of the year/semester. AICTE, CUSAT and Govt. of Kerala sanctioned approval for Master of Computer Applications (MCA) course during 2010-11 with an intake of 60 students. Master of Computer Applications (MCA) is a three year (six semester) Post Graduate course. The Institute has a Training and Placement Cell primarily to cater to the Placement and Training of the students. A panel consisting of the staff and students of this Institution is set up for this purpose. The students of this College got placement in firms/organisations like Infosys, Wipro, US Technology, Nest, IBS, Accenture, Caritor, Sutherland, HCL, L&T, Syntel etc. Each Department has sufficient number of qualified Faculty Members/Supporting Staff. The staff pattern, their qualification pay scales etc. are in conformity with the AICTE norms.